Oh dear, more JW Anderson. It was quite a bit to spend on a jumper, but it is a nice jumper (great logic there). On non jumper related news, I don't think I've mentioned that I'm going to Nepal in November! For two weeks! It will be my first long haul trip in years and years. 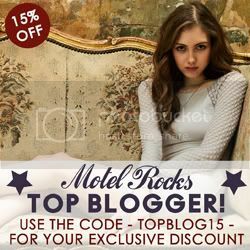 I may be looking for some guest bloggers so if you're interested, please get in touch. I'm also on a shopping ban until the 25th of October- partly to save towards going away, partly to see if I can do it! (D thinks I can't)(I'll show him). So no new clothes :( There's nothing I particularly want or need at the moment (well maybe there's a couple of things, but I'm trying to show restraint here). I have however bought a new oilcloth tablecloth from Cath Kidston.. and been to see Psycho at the BFI, which wasn't as scary as I was expecting, though I did know the plot. Still, Hitchcock is amazing. Wah! What a cute ghosty... perfect for the season. If you want a guest blogger, I'll doooo it. Might encourage me to stop wearing the same cardigan every day.. tee hee hee. I'd be potentially interested in doing a guest post...I've never done one before but it seems like it could be fun! What would it entail exactly? yay for bowler hats! I just brought one too! yaay! PICK ME AS A GUEST BLOGGER. Except I don't do fashion, is that ok? Maybe cakes? Nails? LIFE? That jumper is so good! I love the bowler on you, too. Jealous of your trip away, I've not been anywhere since Paris over four years ago :( sob! xo. This jumper is awesome <3. Totally halloween ha:) ?! 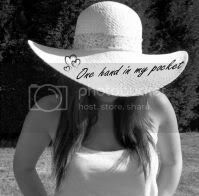 You look perfect + this hat <3. This jumper is lovely! And Nepal will be amazing! I love love love that jumper! The JW Anderson stuff is so nice, but there's no way I can afford it at the moment :( Nepal sounds amazing too! Super super super cute jumper! I hope you have a wonderful time in nepal! Sounds AMAZING. Ooh you look amazing, that jumper is so, so cute! i love this little ghost! looks so funny! I prefer the words 'shopping hiatus' as opposed to 'ban'; you will get through this! And not even a month, pshh you'll ace it ;) Love the graffiti background here, the key to cool photos is the setting! And the pretty gal, of course. this sweater is super cute! especially for fall. you look fantastic! here we cannot think of Haloween 30ºc for everrrrrrrrrrrrrrr. I hope it cools down soon. BOO! I love this jumper, I also love the bat one...Oh decisions. Cute styling! Good luck with your spending ban... we all know how often I try and go on one of those (and, er, FAIL). I love this sweater! :) You look stunning :)! Oh you are in Highgate!! I used to live 2 minutes down the road from that wall! I also went a little crazy on the JW Anderson stuff, but the stuff was lovely and I envy you for getting this jumper! Love it!!! and love the background graffiti!!! Awww that jumper is adorable!! Right on time too because it's getting seriously nippy now!